While investigating the suspiciously high number of child disappearances in their hometown of Derry, Maine, a group of young kids have to face their biggest fears and confront an evil clown named Pennywise (Bill Skarsgård), whose history of murder and violence dates back for centuries. The announcement of any new adaptation of a Stephen King novel is always cause for excitement and, well, apprehension. Transforming King’s stories from page to screen is no easy task and success is far from guaranteed (Dark Tower, anyone?). 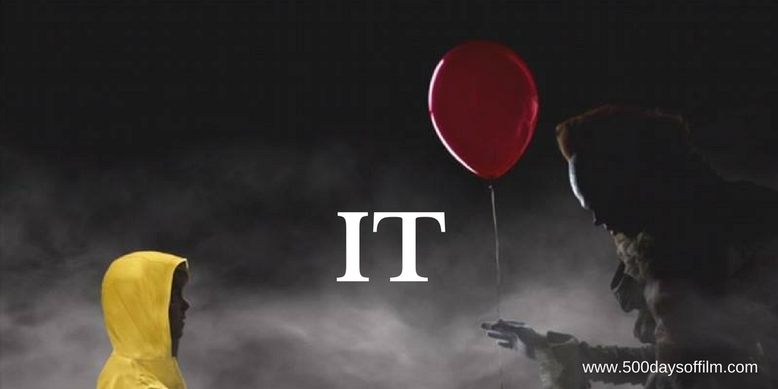 As a result, news of a movie adaptation of IT - featuring one of King’s most iconic horror creations: Pennywise the Dancing Clown - felt both thrilling and worrying. Could director Andy Muschietti (who replaced original director, Cary Fukunaga) do right by this classic horror tome (it really is a beast of a book) and the millions of horror-loving Stephen King fans? Could Bill Skarsgård (who replaced original casting choice, Will Poulter) emerge out of the shadow of Tim Curry’s utterly terrifying Pennywise? Would this film be a bunch of cheap jump scares? Would we get the film we deserve? Quite simply, yes, yes, no and absolutely. IT is a thoroughly entertaining and satisfying film - up there with some of the best Stephen King adaptations. I’ll admit that it has been a long time since I last read IT (or watched the Tim Curry mini series), but I feel that the spirit of King’s novel has been respectfully recreated in this movie. There are changes and omissions, sure, but this feels like a film made out of love for its source. 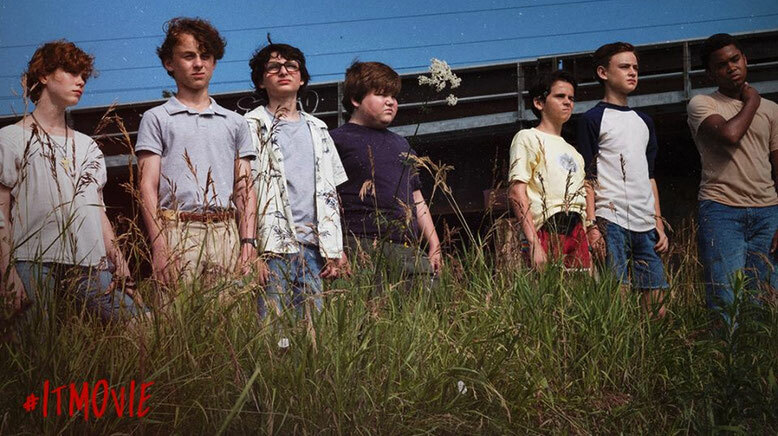 Cineliterate (a rewatch will be needed to appreciate all of the movie references) and bursting with 1980s nostalgia, IT made me think of (Netflix series) Stranger Things, The Goonies, ET and Stand By Me. Hang on a minute, isn’t this supposed to be a horror movie? Well, yes and no. IT is more of a coming of age adventure with some (pretty effective) horror thrown in. You'll come for Pennywise but stay for the Loser's Club. For while IT's malevolent clown is never far from the frame, Andy Muschietti’s film is more concerned with its group of brilliantly tenacious children. There’s Bill (Jaeden Lieberher), Ben (Jeremy Ray Taylor), Richie (Stranger Things’ Finn Wolfhard), Mike (Chosen Jacobs), Eddie (Jack Dylan Grazer), Stanley (Wyatt Oleff) and, of course, Beverly (Sofia Lillis). It’s hard not to love these funny, plucky kids - especially as they are each portrayed so darn well. There is just so much talent on display here. As a (possibly hardened) horror fan, I did not find IT scary. And I hate clowns. Of course, I would have liked this film to feel more frightening. And yet, once I realised that this was more of a coming of age adventure than an all out horror, I did not feel disappointed. I am just so thankful that Muschietti has not gone overboard on the jump scares and that he takes his time to introduce the depth of evil in Derry. For, alongside the dancing clown, this town is full of hidden monsters - from a horrendous group of school bullies that seem to lurk around every corner to the most monstrous collection of neglectful and abusive parents. Despite not being overly scary, IT certainly has its fair share of horrific moments. Bill Skarsgård makes this role his own with a performance that honours the clown's iconic status. Pennywise is terrifying to behold - a strangely hypnotic screen presence full of unpredictable rage and unspeakable menace. However, for me, the most horrific moments of the movie come early on - watching Bill’s little brother Georgie sail his paper boat in the rain. Those scenes are certainly a tough and upsetting watch. IT is not a perfect film by any means but this extremely enjoyable adventure horror never outstays its welcome - despite a hefty two hour and 15 minute running time. I, for one, cannot wait for Chapter Two… I’ll just really miss those kids.